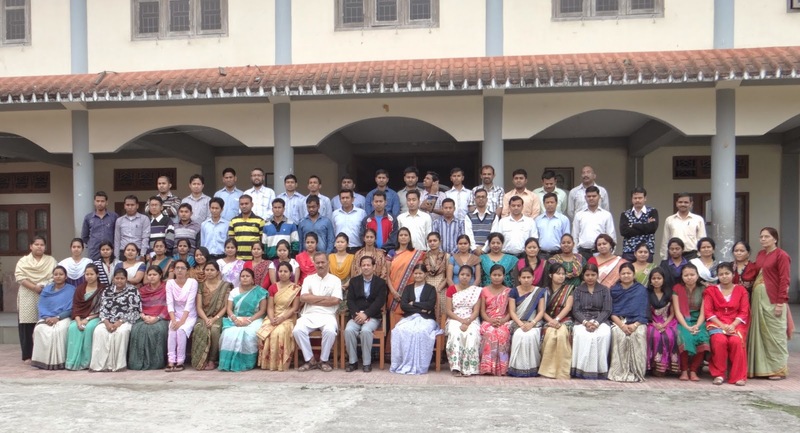 Matri Sammelan was organized on 21st December, 2016 in the Vidyalaya campus. 168 mothers registered themselves for this Sammelan. 150 mothers attended the programme. The Principal, Sri Ravindranath D. Savdeykar addressed the Matris. Three dignitaries Dr. Bharati Dutta, Retd. Lecturer of DHSK College, Dept. of Geography, Smt. Sudakshina Das Bordoloi, Lecturer of DHSK College, Dept. of Zoology and Smt. Mohini Deori, Social Worker and noted writer graced the occasion. Group discussion was organized for the Matris. The group of Matris was divided into 12 ganas and 3 vibhags. The topics were ideal woman, role of mother in developing values in a child, Contribution of woman in society formation. The gana pramukhs presented their views. Susri Meera Didi, Assam Prath Saghatak, Vivekananda Kendra, Kanyakumari was also present. She also addressed the session quoting the role of mother in building a healthy society. 22 Matris came forward to form “Matri Manch” at the request of Susri Meera Didi.